Well, looky there. It appears the Grinch has a nice side… maybe. 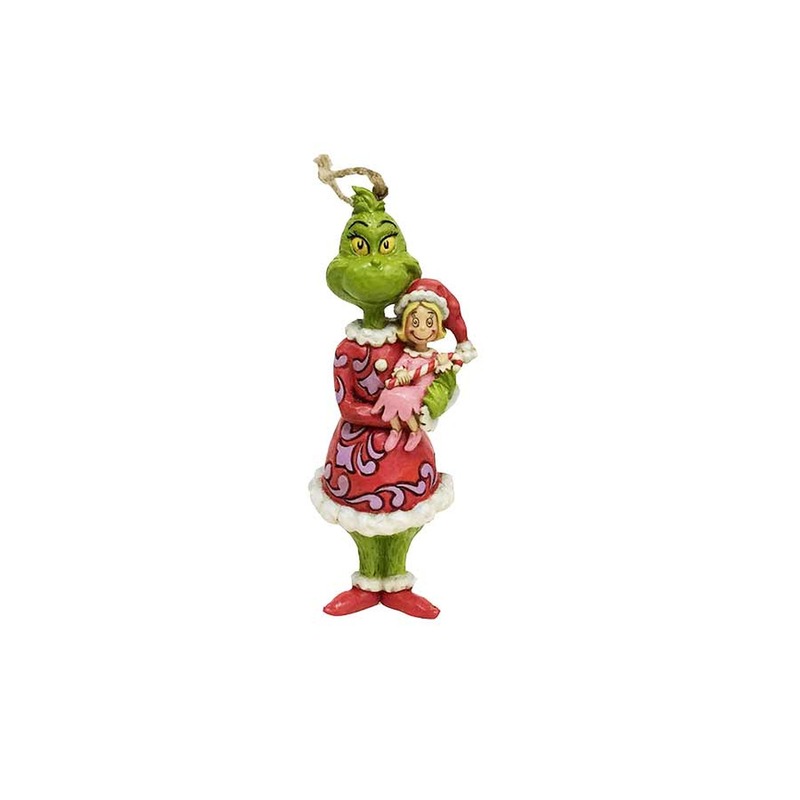 Inspired by How the Grinch Stole Christmas!, the typically surly and a-festive fellow poses with Cindy Lou in this very cute Dr. Seuss The Grinch Grinch Holding Cindy Lou Ornament by Jim Shore. Probably the only time we will see "The Grinch" without an unpleasant look on his face. This ornament is so cute.